Leader of UK Independence Party Nigel Farage spoke at emergency sitting in EU parliament; explains why the UK didn't stay. This was the opening salvo in a speech given by UKIP (UK Independence Party) leader Nigel Farage at a special emergency sitting of the EU Parliament following the UK's shocking vote to leave the European Union last week. Farage stood up to widespread boos and hurled insults. Struggling to contain a smile, the controversial British politician reminded his audience of the time he first met them. "Isn't it funny, when I came here 17 years ago and I said I wanted to lead a campaign to leave the EU, you all laughed at me. Well, you aren't laughing now, are you." UKIP has made the promotion of a British European Union exit it's main focus since Farage took leadership of the party in 2009. He continued to give some causes for the UK voting to leave, mentioning economic reasons, telling the Parliament that they are "in denial that [the] currency is failing", and immigration, claiming that German chancellor Angela Merkel's policy of "letting as many people as possible cross the Mediterranean into the European Union", as Farage puts it, "has led to massive divisions between countries and within countries." The main reason why the EU lost the confidence of the British people though, according to the UKIP leader, is that the EU has become overly bureaucratic and closed, making decisions by itself and for itself, with no consideration for the will of the people of Europe. "You have, by stealth, by deception, without ever telling the truth to the British or the rest of the peoples of Europe...imposed upon them a political union. And when the Netherlands and France voted against ratification of the European Constitution in 2005 you ignored them and brought in the Lisbon treaty through the back door." 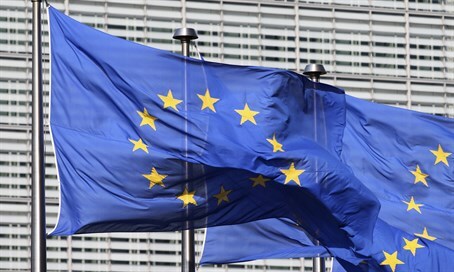 Attempts to establish a "Constitution for Europe" hit serious obstacles in 2005 when France and the Netherlands voted against ratification in what was one of the first signs of widespread dissatisfaction and dis-affection with the EU among the populations of member states. Farage then gave voice to some of the populist and nationalist sentiments often expressed by leaders in his UKIP, claiming that, "the little people rejected the multinationals, the merchant banks, and big politics. They said, 'actually we want our countries back, our fishing waters back'." And then a bold prediction: "The UK will not be the last member state to leave the European Union." After spending the first few minutes of the speech criticizing and chastising his EU audience, Farage began to move to a more conciliatory tone, speaking of the way forward; but he couldn't resist inserting one more barb: "I know that virtually none of you have ever done a proper job in your lives, or worked in trade, or indeed ever created a job, but I would like to see a grown up and sensible attitude to establishing our new relationship." At this point President of the Parliament Martin Shultz had to stop matters to quiet down the booing. "Listen to some simple pragmatic economics," Farage continued, "our countries do an enormous amount of trade with each other, that trade matters. If you were to cut off your noses to spite your faces, the consequences would be far worse for you than us. Let's cut between us a sensible tariff free deal, and we will be your best friends in the world." As a parting shot, the victorious leader of the British "Leave" campaign offered this: "I'm looking forward next year to celebrate our independence day on June the 23rd."